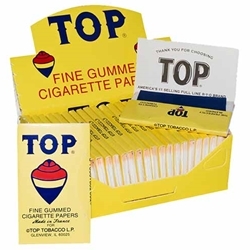 Top Rolling Papers have remained true to their original vision of serving the smoking community with some of the finest, most natural papers on the market. Each one of their papers is slightly unique because each paper is handcrafted and checked for quality. Try them today here at Smokers Discounts!